Disclosure: This nutty recipe has been sponsored by Wonderful Pistachios. I may be nuts but all opinions and ideas are my own. Let’s talk about nuts! 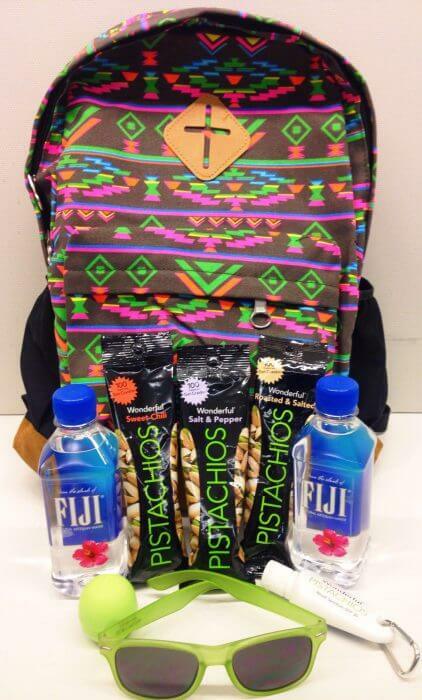 Not just any nuts but specifically Wonderful Pistachios. When I think of pistachios I always think of pistachio pudding. You know the light green pudding that tasted great but just seemed a little off because it was smooth pudding with hard nuts in it. Well at least it seemed weird to me. Anyway I digress, back to pistachios. 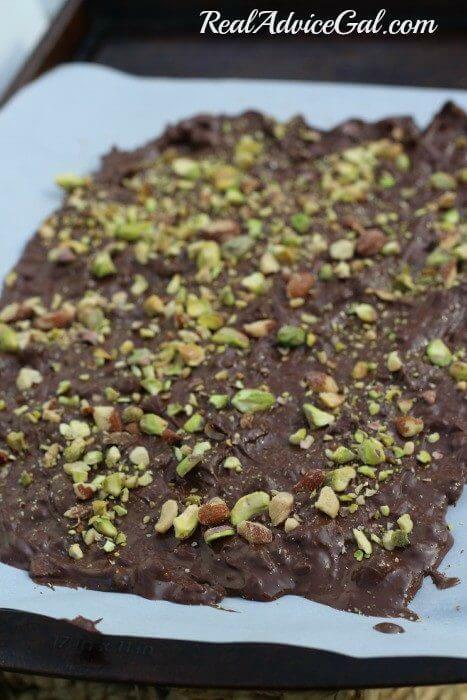 I decided to try a new recipe that is a bit more sophisticated than pistachio pudding but so easy and absolutely delicious: Salted Almond and Pistachio Bark. 2. Melt chocolate in the microwave. Heat in 10 second intervals until melted, stir in between heating. 3. 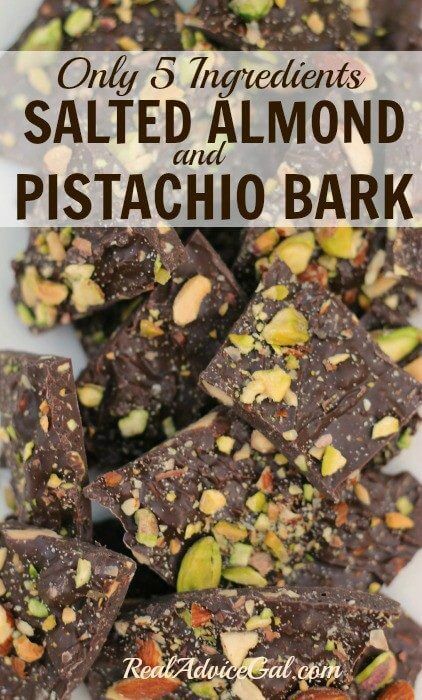 Stir vanilla and half of the chopped pistachios and almonds into the melted chocolate, coating all of the nuts. 4. Using a spatula, spread the chocolate mixture on the cookie sheet. 5. Sprinkle the salt and remaining nuts over the top. 6. Cover and refrigerate until the chocolate is set. Break into pieces. 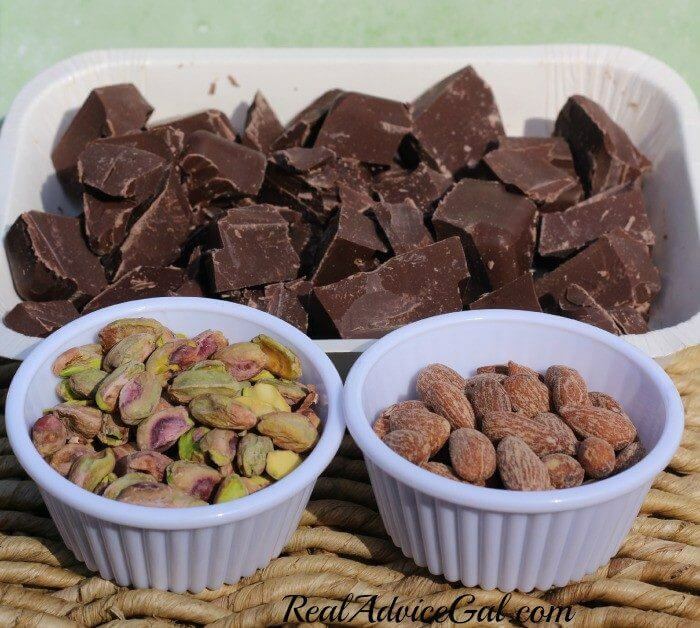 Salted Almond and Pistachio Bark can be stored in an air tight container for 1 week. Note: The almonds and pistachios I used were already salted so I did not add the sea salt. The salt on the nuts added enough saltiness to the bark to make it taste great!